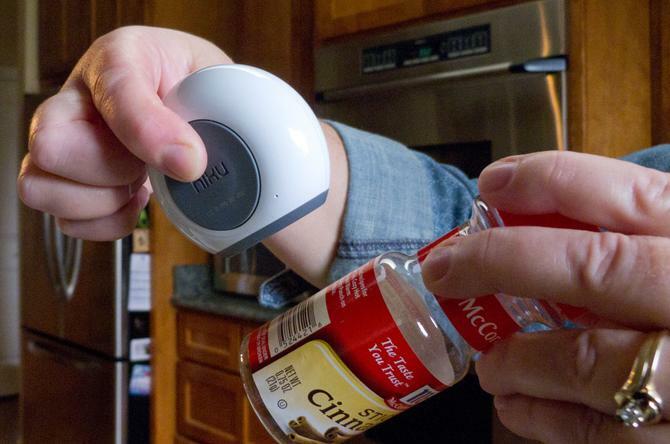 Hiku can also be used to scan the barcodes of items to add them to the shopping list and has a magnet that allows it to be stuck to a fridge when not in use. In the Coles trial, items will be added to the shopping list feature of the Coles mobile app. The supermarket chain said items on the list can be transferred to an online shopping trolley for purchase and delivery. The device relies on connecting to a home Wi-Fi network (it supports 802.11b/g/n 2.4GHz networks). It uses a Lithium-ion battery that can be recharged over a micro-USB connection. Speech recognition is powered by Nuance, the developers of the suite of Dragon NaturallySpeaking voice recognition applications. The trial will involve 50 customers. Accenture is working with Coles on the two-month trial. Last month online retail giant Amazon debuted its 'Dash Button' in the US. Each Amazon Dash Button can be associated with a particular product and when pressed will automatically place an Amazon.com that have that product delivered. As with Hiku, the device connects to a home Wi-Fi network. Distribution of the button is currently limited to Amazon Prime members who have got their hands on an invite. Amazon last year trialled a Hiku-like device, called Amazon Dash, that incorporated barcode-scanning and voice recognition capabilities. The device ordered items from AmazonFresh.